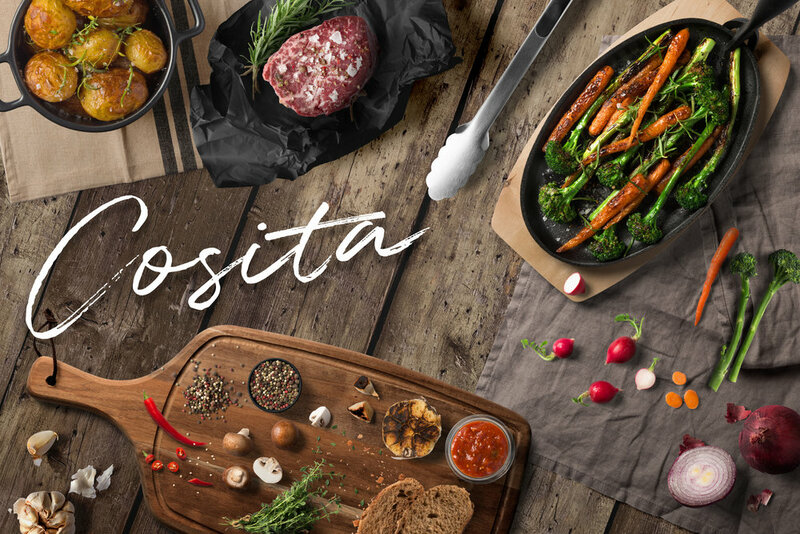 Inspired by Spanish cuisine, Cosita is a new restaurant concept that takes inspiration from it's name - "Little Thing". Cosita is a wine and tapas bar that prides itself on culinary diversity. Each tapas is diligently prepared using only the freshest and most local ingredients to create a unique experience for guests. The floorplan uses a variety of table sizes that can easily be reconfigured in the space to provide seating for larger groups of guests in the front of house. A wall of banquettes with varying table top sizes in the middle of the space creates a more intimate seating area tucked away from the entrance. The angular bar drives a guest's attention to the furthest point in the restaurant upon entering, creating a dramatic visual in the long, linear restaurant.